However, most of the handouts are of between $US 200 and $US 400 – given to people without jobs or in need of medical help. Larger payouts are made only when proof of need is given – for example in letters from hospitals. By distributing the country’s oil revenues so directly, the authorities hope to give impetus to Iraq’s fragile economy. The move has been hailed by the U.S., which has been urging Iraq to spend its own money instead of America’s. This year Iraqi oil revenues have reached an estimated $US 70 billion. 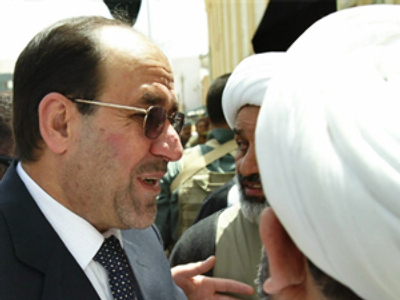 Al-Maliki said he wants the money to be put in ‘honest hands’. However, sceptics say there’s a high risk the money will end up in the pockets of corrupt officials. There are also claims Al-Maliki is favouring Shiites over Sunnis. Himself a Shiitie, it’s reported the prime minister has given away most of the money in Shiite neighbourhoods.